Easily and safely balance and tone your vagus nerve without expensive electrical stimulation. The Vagus Nerve Balance mandala is the first in a new line of Quantum Healthcare mandalas, which are quantum energy apps useful for self-care and self-healing. "I’ve downloaded this one this morning, was a bit stressed and not able to do my usual practises to relax and calm due to having to tend to lots of things one after another. So what I did was simply pull up the mandala on my phone, putting it into sleep mode and I received wonderful balancing energy from it all day long. Very nice, warm, soothing and comforting to me without putting me too much in a lull and not making me tired at all." "Reduction in body pain and inflammation." The information, products and services provided on the website and by Subtle energy Sciences is for general interest in spirituality purposes only; nothing herein is intended or implied to serve as medical or therapeutic advice or treatment. Eric Thompson is not a medical doctor nor does he diagnose any illness or prescribe medication of any kind. All modalities and treatments referred to by Mr. Thompson, Subtle Energy Sciences and the website such as energy healing, vibrational re-alignment, and all other recommendations, techniques and materials are not to be construed as medical or psychological advice. Please do not use any information, treatments, services or products provided on this website as a substitute for professional medical advice, diagnosis or treatment. If you have or suspect that you have a health or therapeutic issue, please consult a licensed doctor, therapist or counselor. By viewing this statement and using any products, services or information contained herein, you agree to our Disclaimer and agree to indemnify and hold harmless Eric Thompson, Subtle Energy Sciences LLC and any employees/agents of the Company of any liabilities. Eric Thompson is not a doctor and makes no medical claims. Nothing Eric or any agents/employees of Subtle Energy Sciences communicate should be construed as medical or psychological advice of any kind. Please see a health professional for all medical assessments & treatments. By viewing this statement and using any products, services or information contained herein, you agree to our Disclaimer and agree to indemnify and hold harmless Eric Thompson, Subtle Energy Sciences LLC and any employees/agents of the Company of any liabilities. Energetic Signature: This vagus nerve app is sourced directly from the quantum field and designed to tone and stabilize the vagus nerve. The vagus nerve is one of the longest nerves in the body and plays a principle role in conveying information about the body to the brain. Electrical stimulation of the vagus nerve encourages the brain to reorganize itself around damaged areas and has proven to be an effective treatment for numerous health conditions. 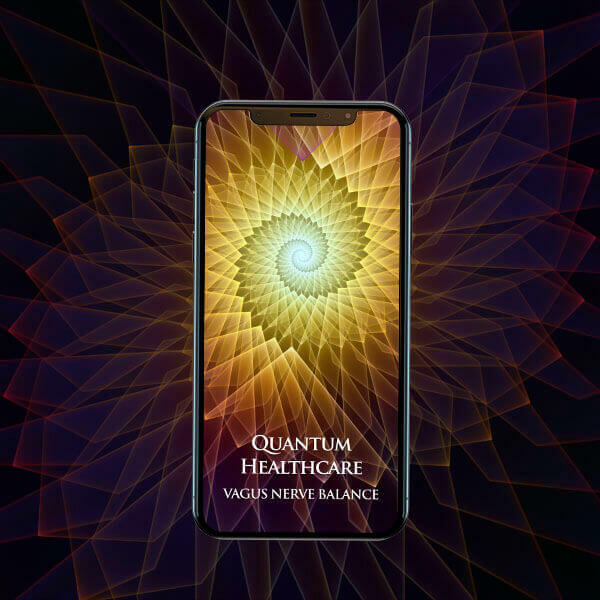 The Vagus Nerve Balance quantum energy app bypasses the need for expensive electrical stimulation and instead uses quantum energy pulses to tone and balance the vagus nerve. Open the vagus nerve app on your computer, laptop, phone or tablet. As soon as it is opened, it will immediately broadcast quantum vibrational energy patterns to quickly and safely tone and balance your vagus nerve. If the energy ever begins to feel overstimulating, simply turn it off for a while. Amplify the vagus nerve app as needed.